Emily and Ian Biggs first met over Thanksgiving dinner. Ian had just moved to Lexington and worked with Emily’s aunt as a purchasing/subcontracting specialist at Bechtel in Richmond. Since his family was in New York, he was invited to join Emily’s family for Thanksgiving dinner. The two began hanging out as friends and by the following Thanksgiving, they were a couple. 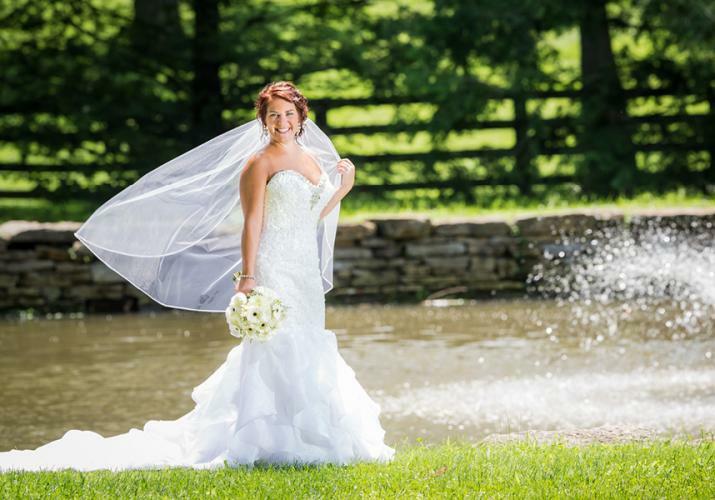 The wedding took place on July 18, 2015 on the lawn at the Cardome Center in Georgetown, Kentucky. 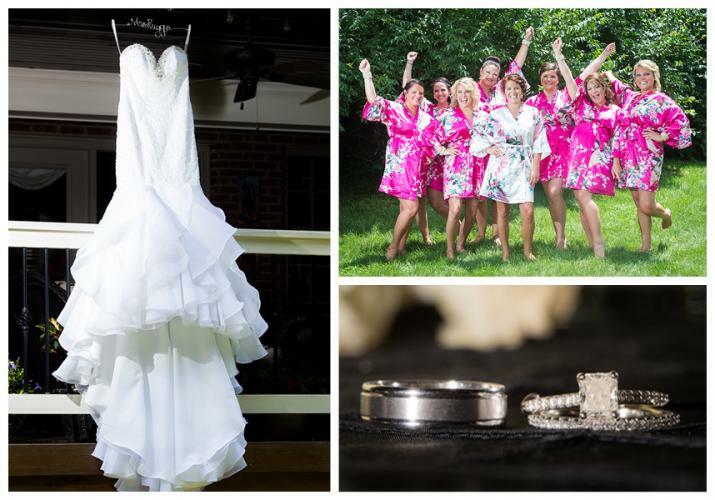 The couple chose the location due to its rich history and gorgeous setting. 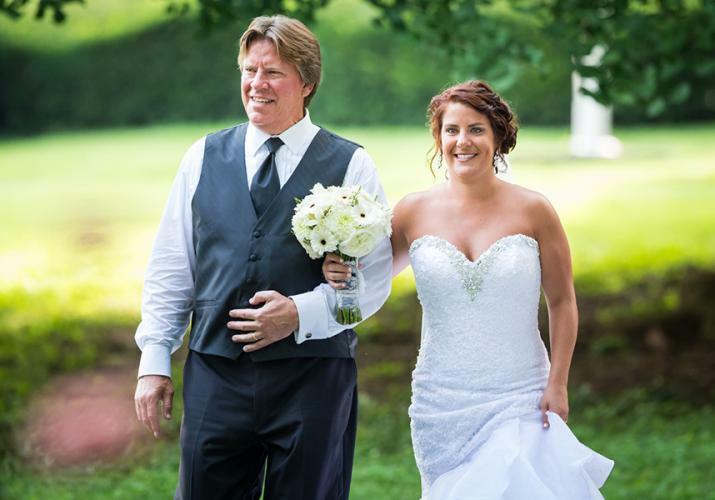 The officiant was a cousin, Bob Miller, who was ordained online for the purpose of marrying Emily and Ian. 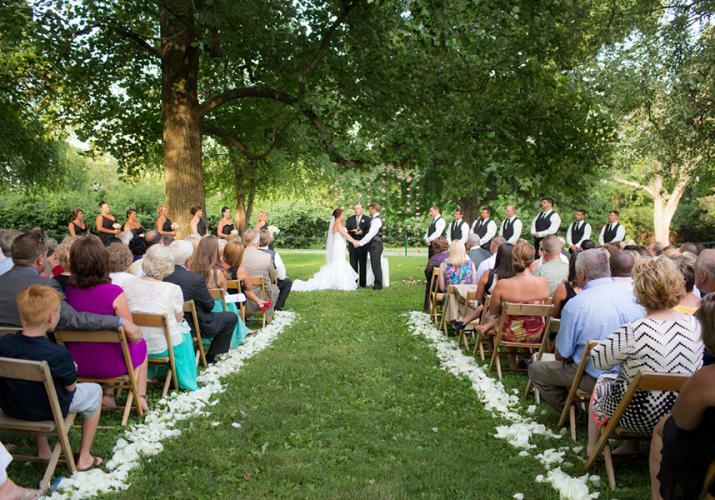 Together, the three wrote the entire ceremony, including the wedding vows. One of the vows contained the line “big and small”. Bob changed it to “BIGGS and small”, in reference to Ian’s last name, which made everyone laugh. 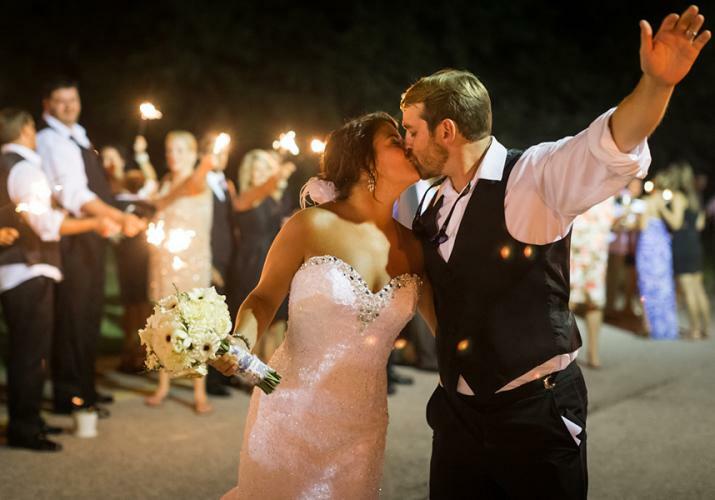 Prior to the ceremony, Emily and Ian shared special notes with one another. 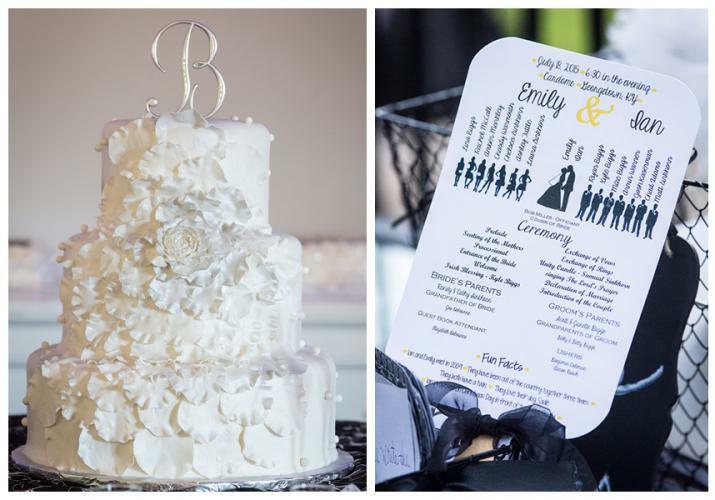 Emily is exceptionally close with her parents, so she honored their thirty-three year marriage by wrapping a piece of her mother’s wedding veil around her bouquet. 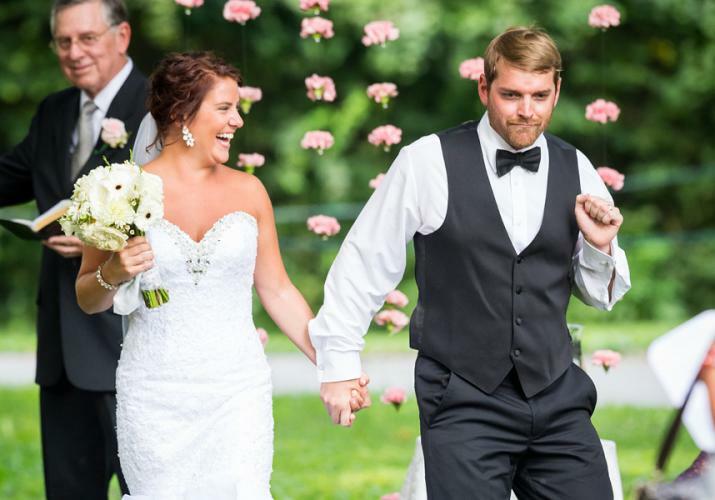 Her twin sister served as her maid of honor and Ian’s twin brother served as his best man. 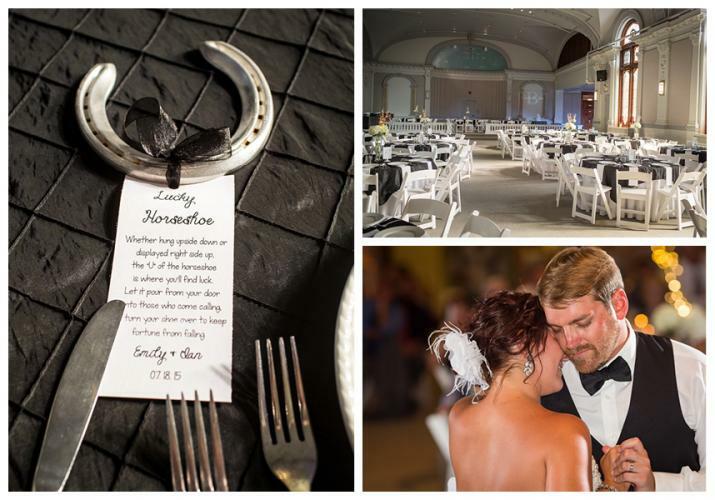 Each couple received a horseshoe worn by a Kentucky thoroughbred with a sentimental saying attached. 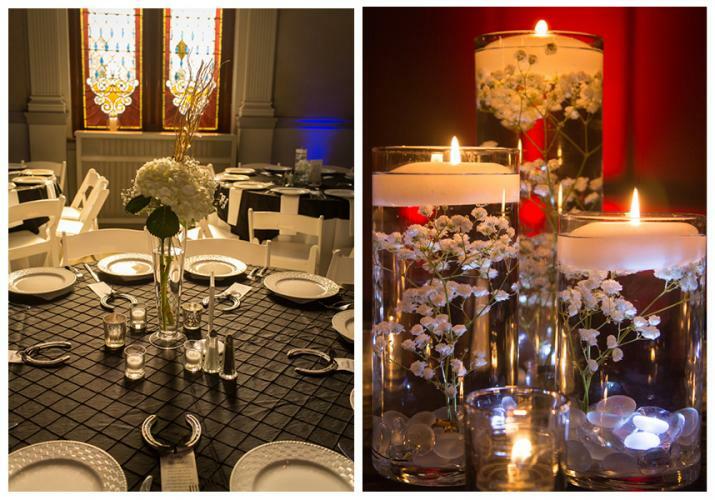 The DJ entertained guests with music and a light show that included the new couple’s monogram splashed on the wall. 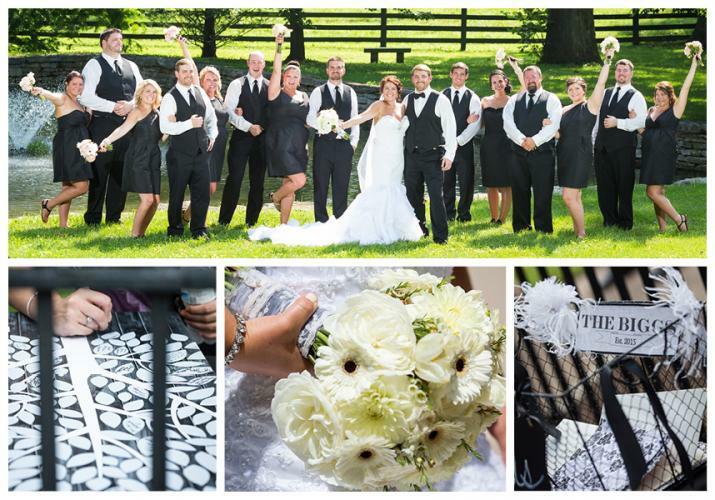 Pictures from a photo booth were glued into a scrapbook where guests could share well wishes. During the first dance between Emily and Ian, as well as the special dance with their mom and dad, a slide show of memories played on the wall. 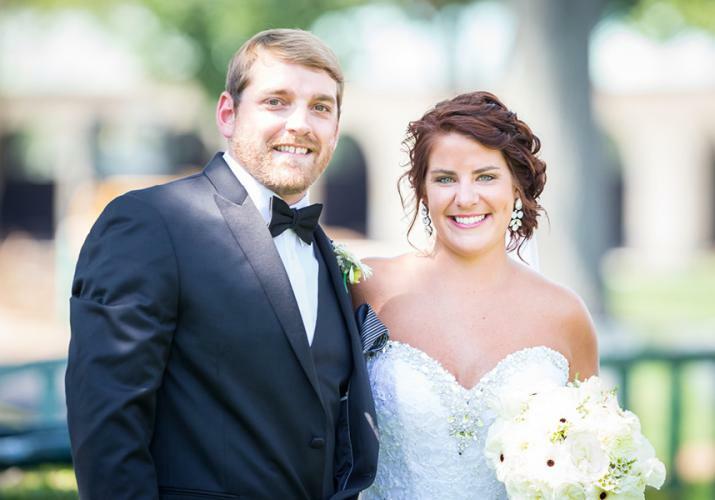 When asked to offer advice to other couples planning a wedding, Ian and Emily suggested planning the ceremony earlier in the day, in order to have more time at the reception to spend with so many cherished family and friends.